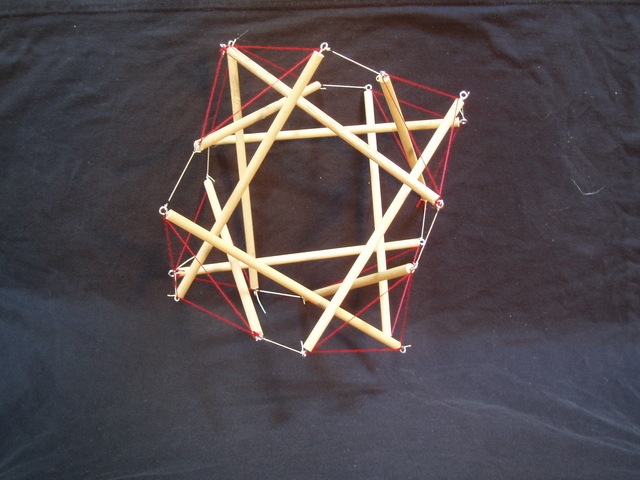 Two examples are shown beside a rotatable version from the applet. 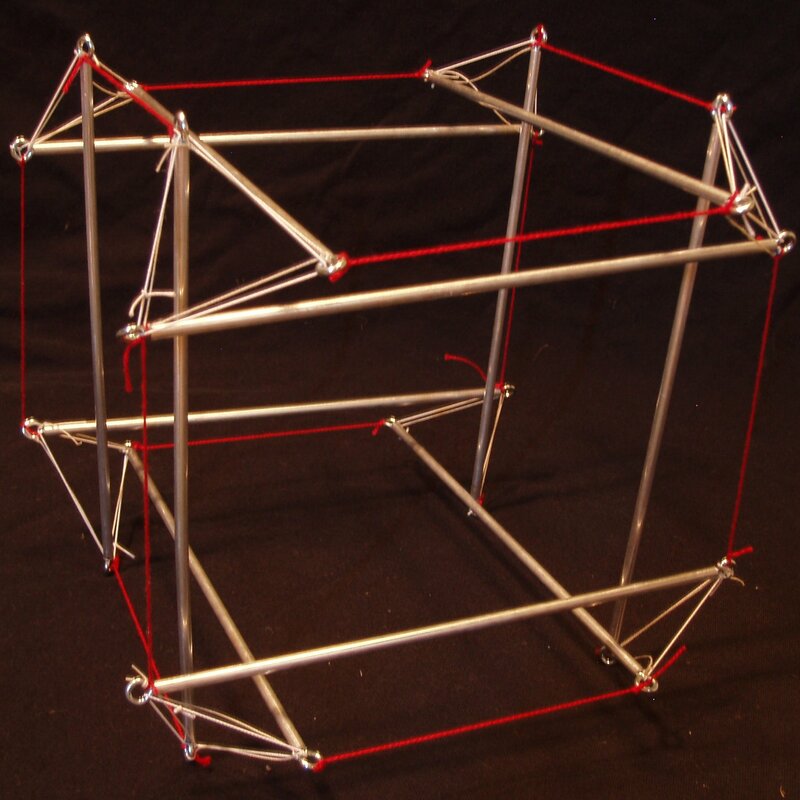 Group A_4, Cables: (124), (14)(23); Strut: (13)(24). 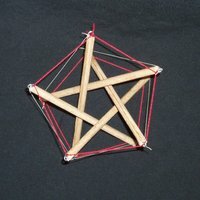 The stress is about half. 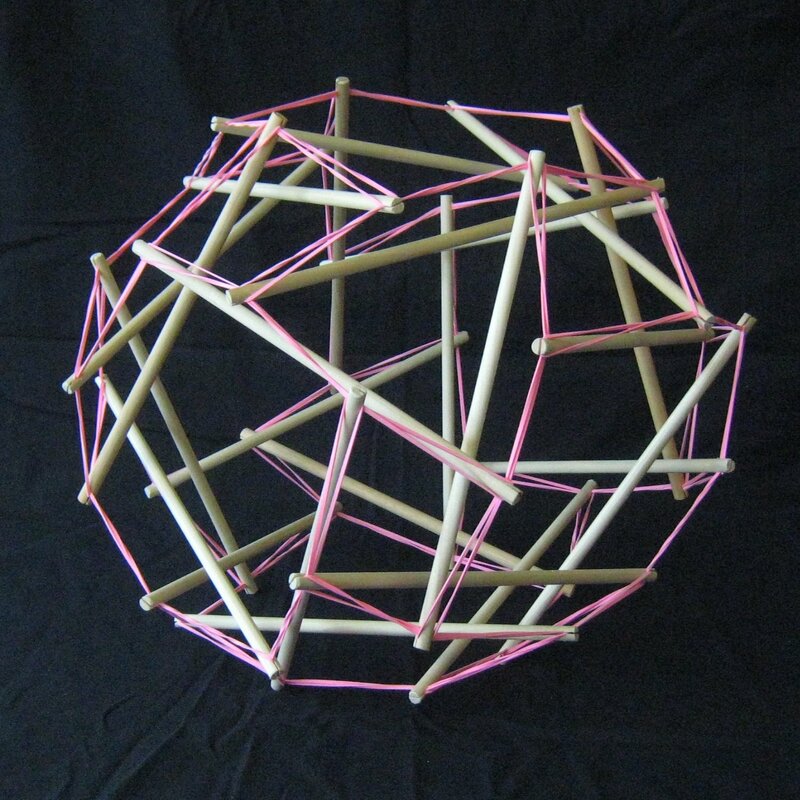 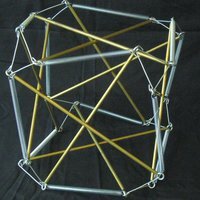 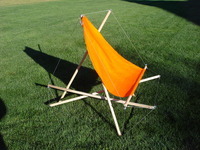 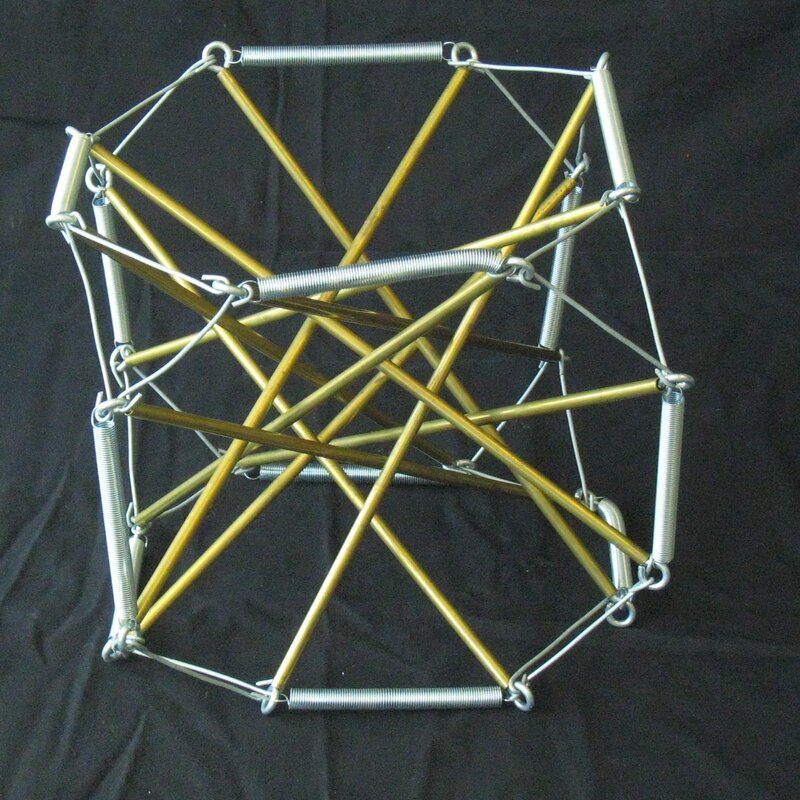 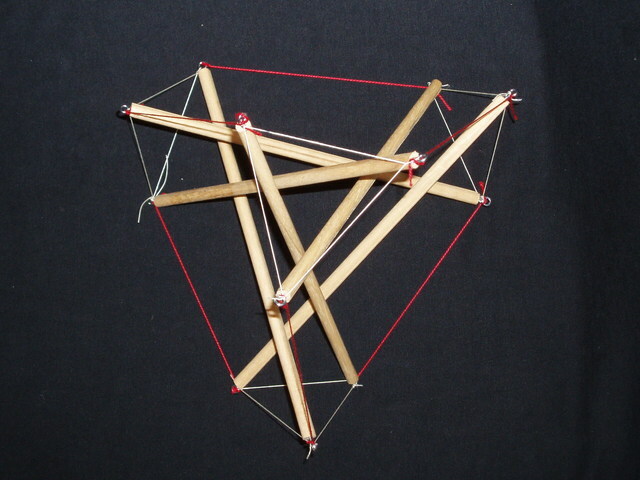 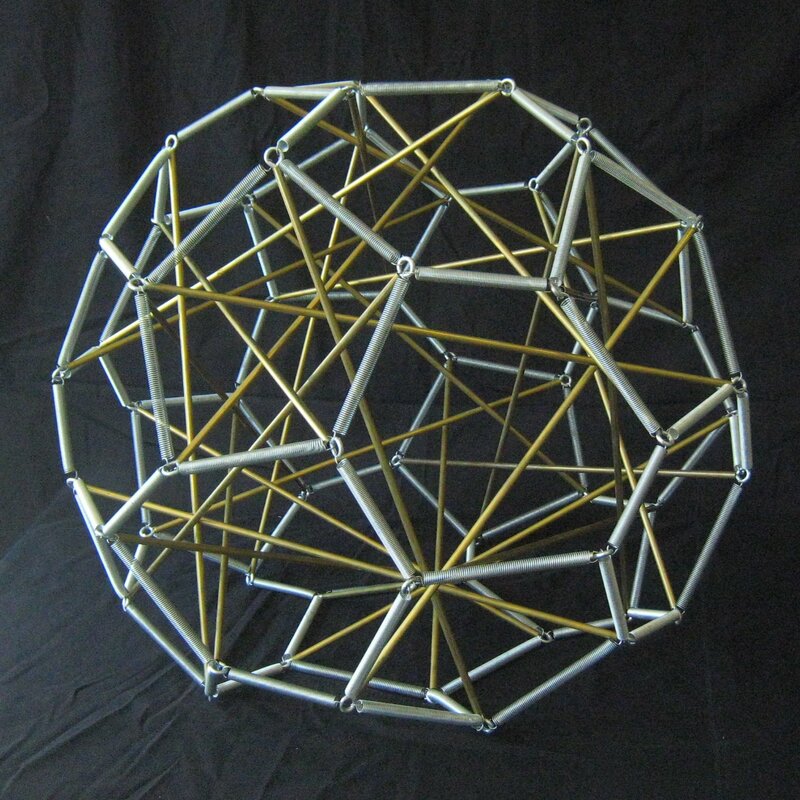 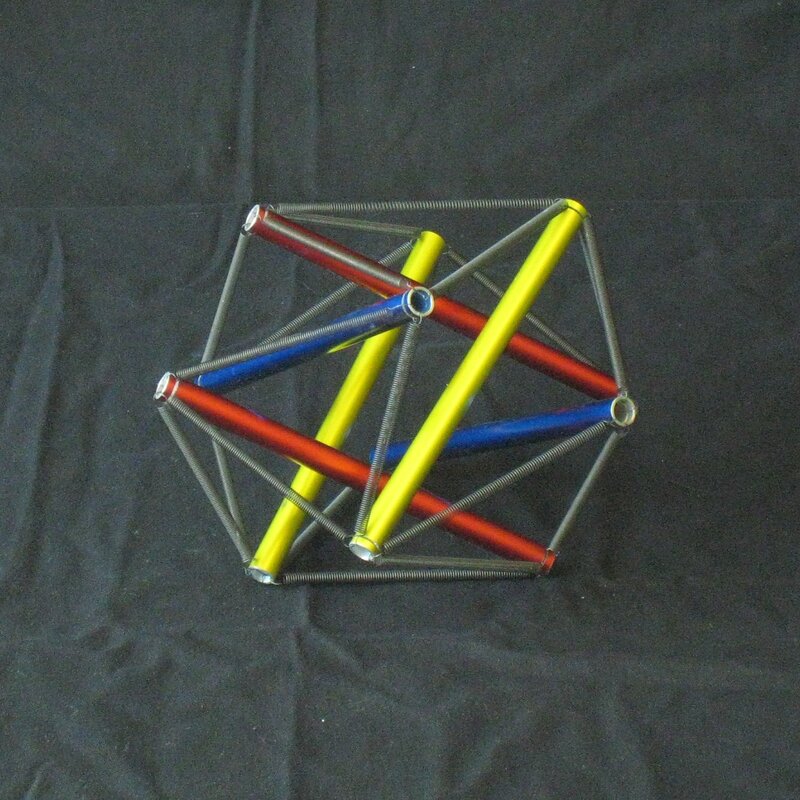 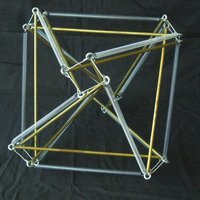 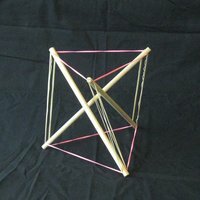 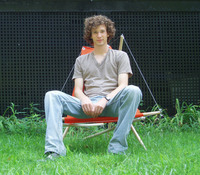 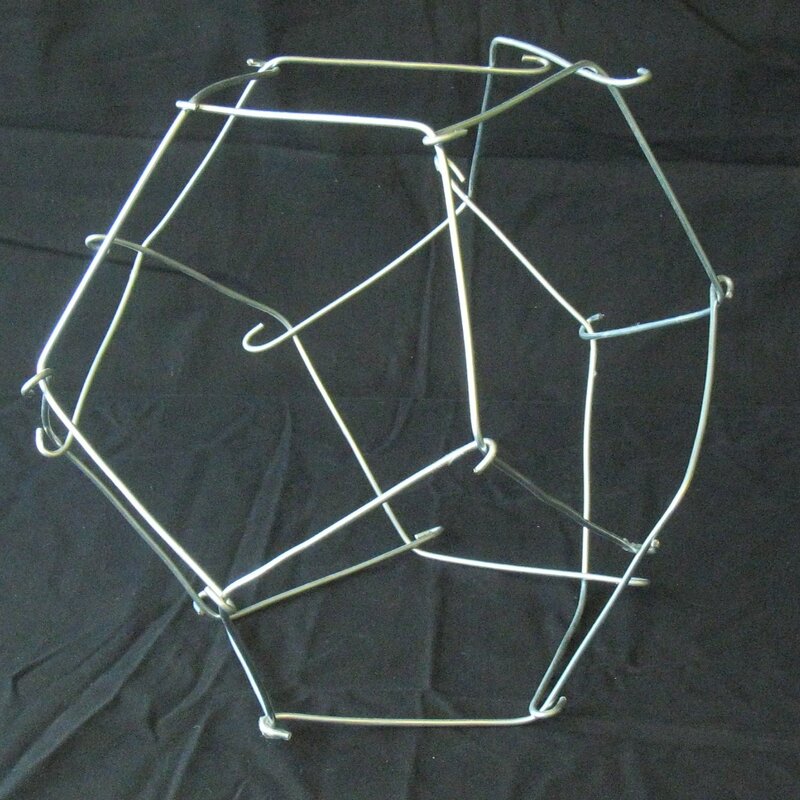 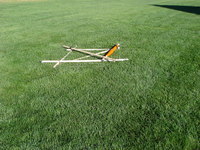 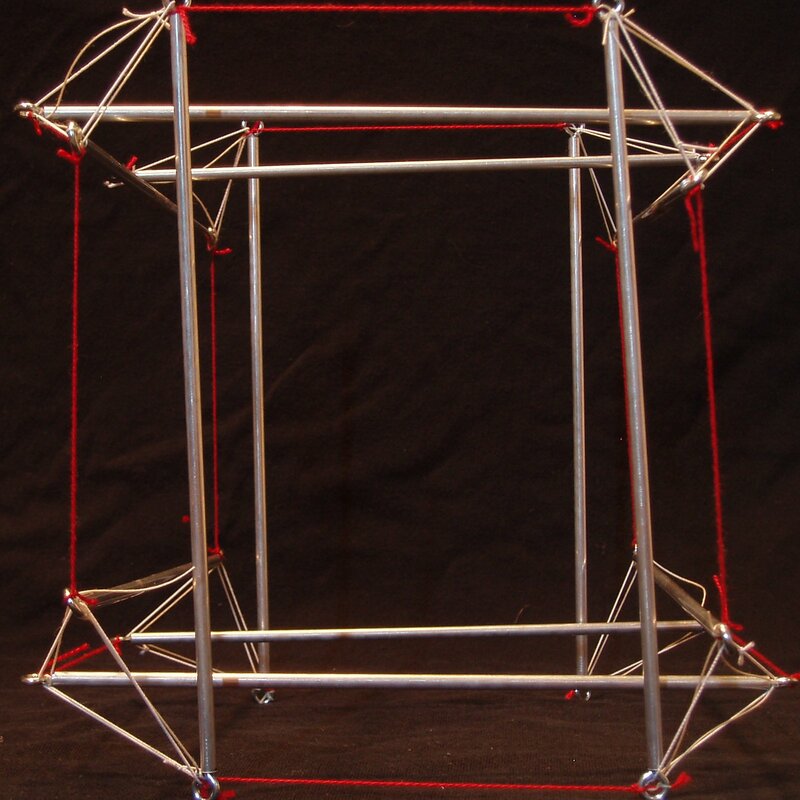 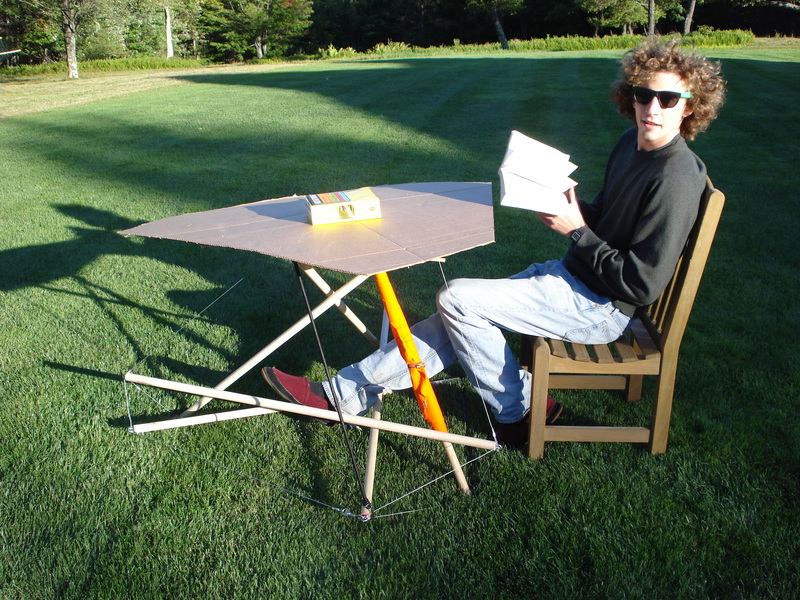 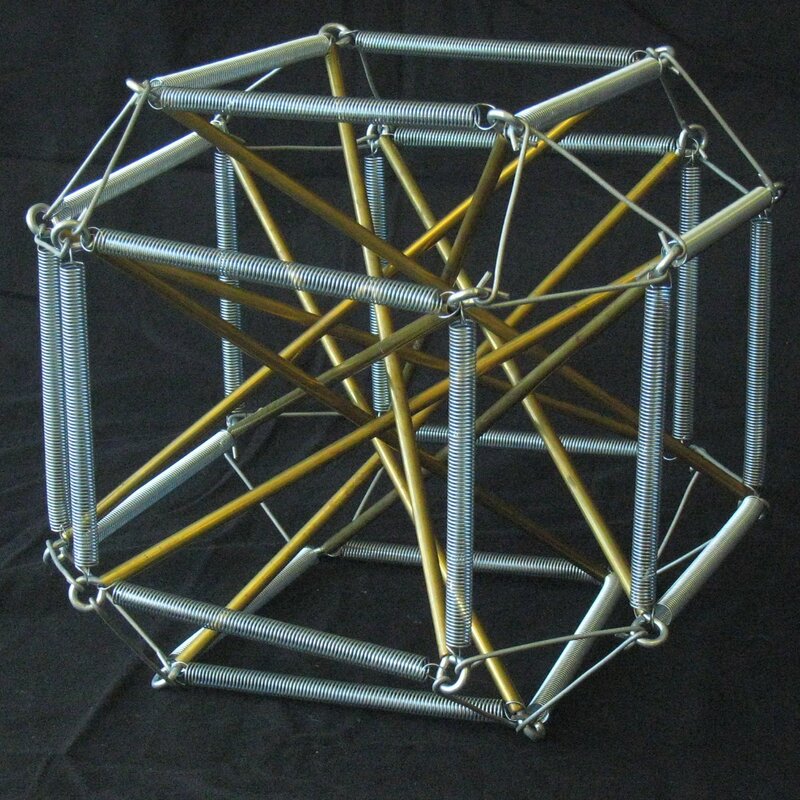 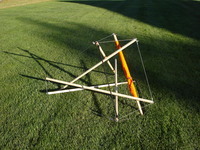 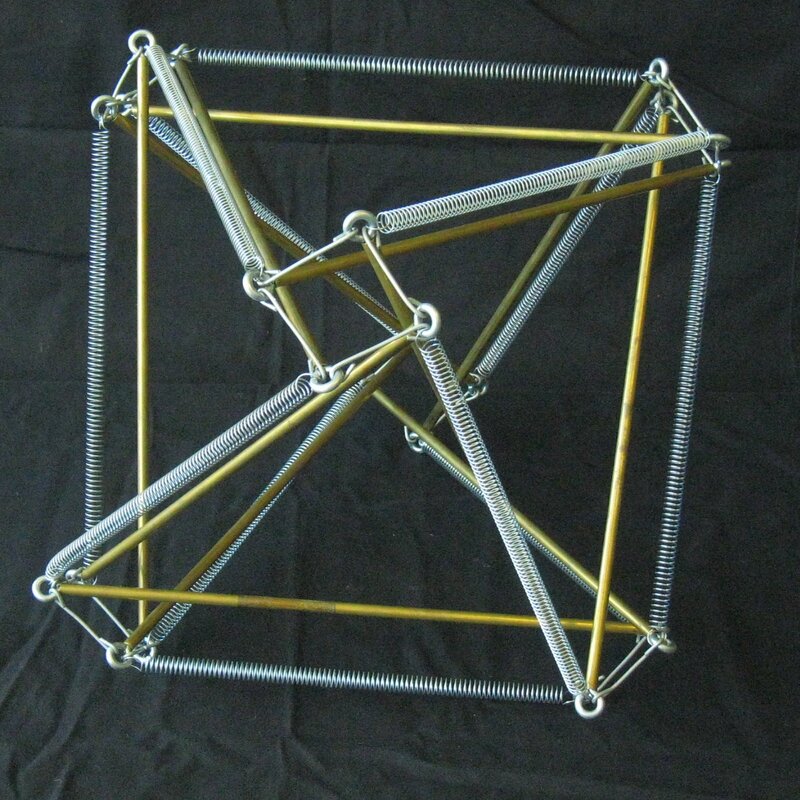 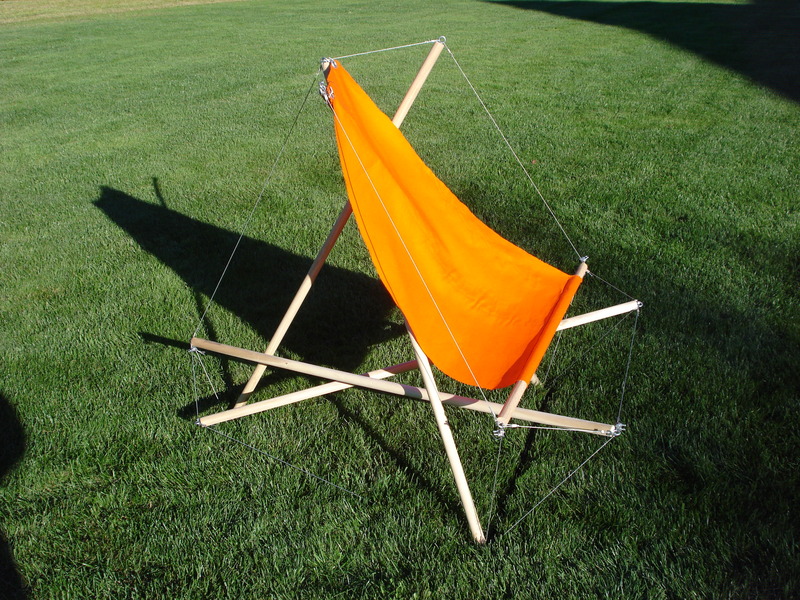 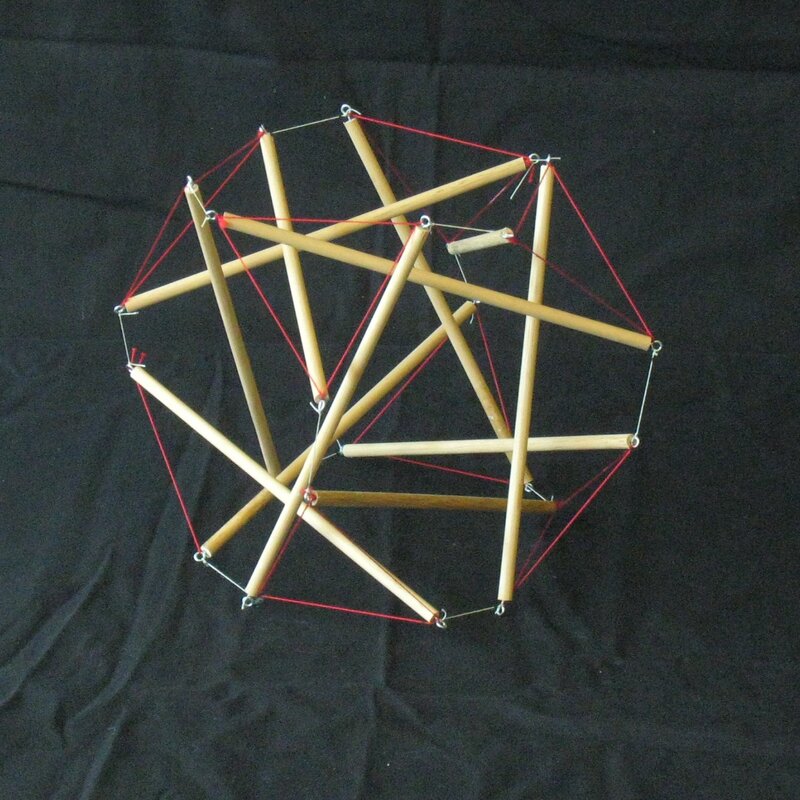 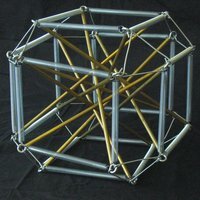 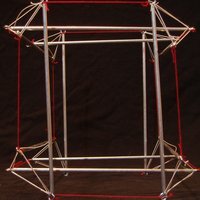 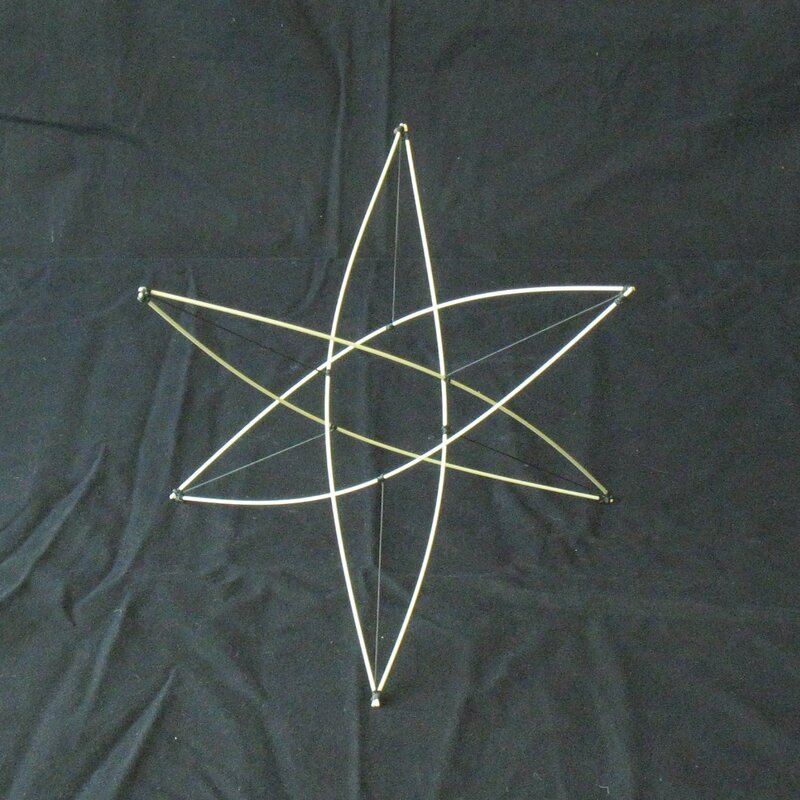 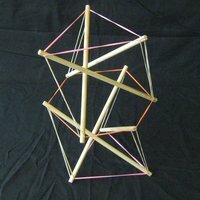 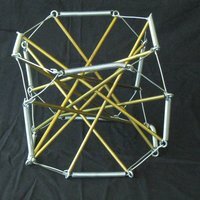 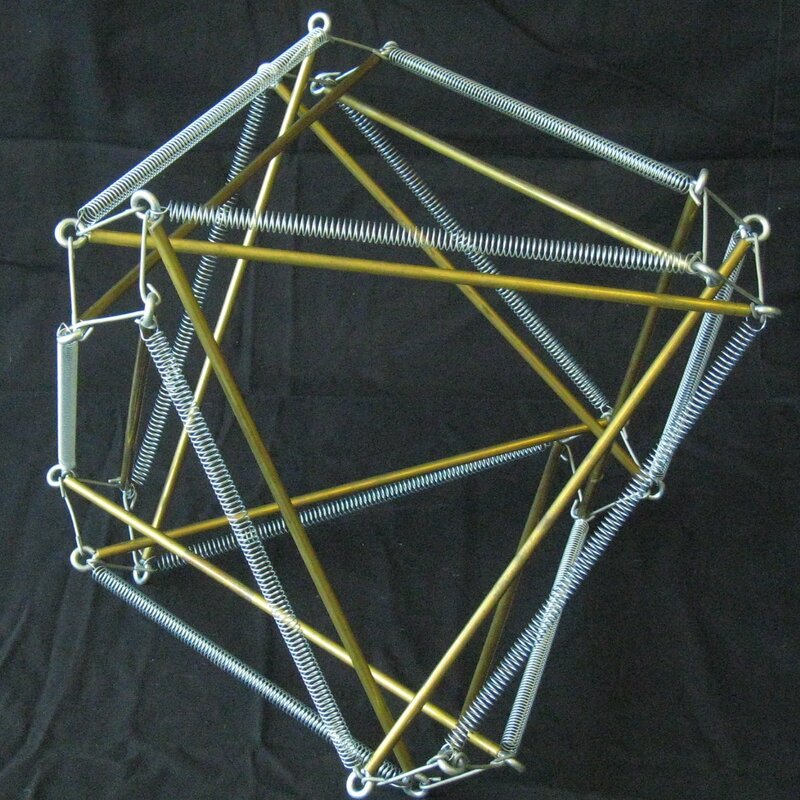 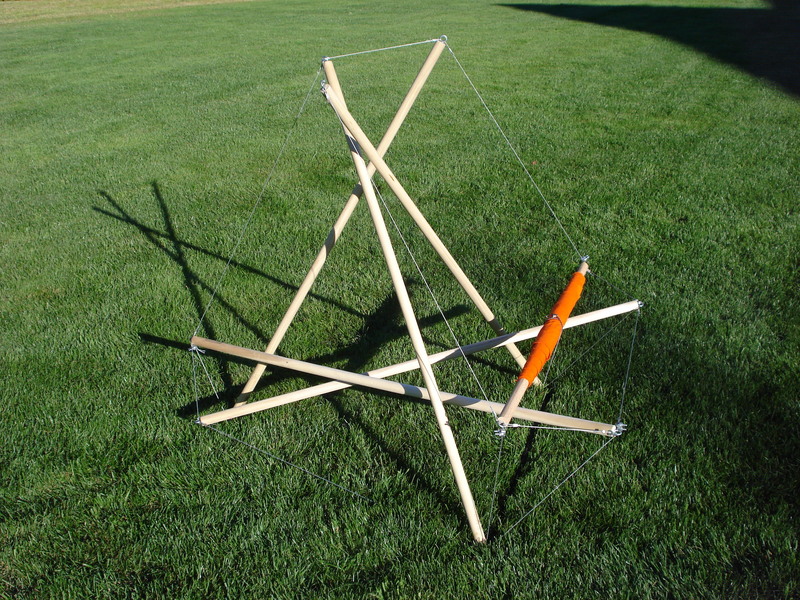 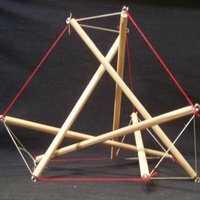 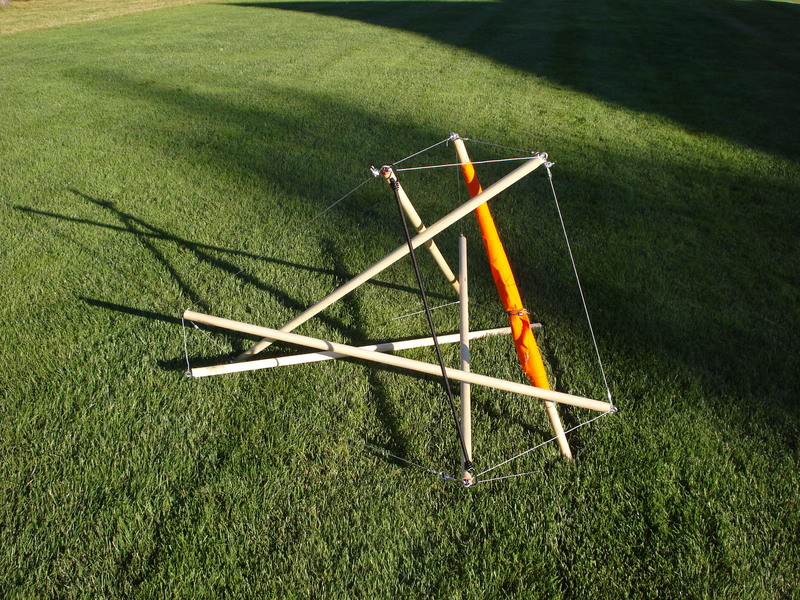 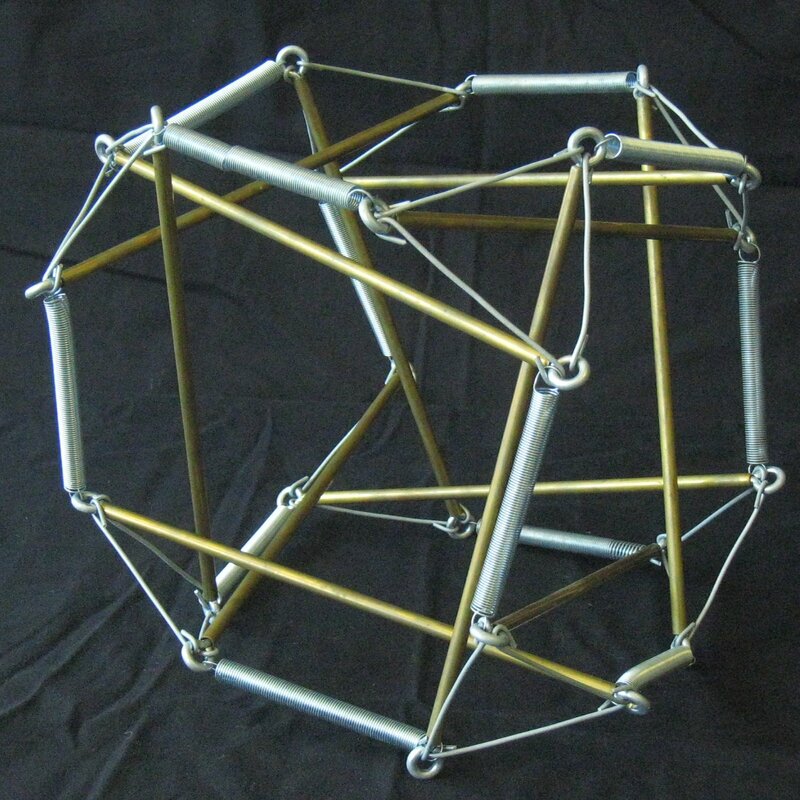 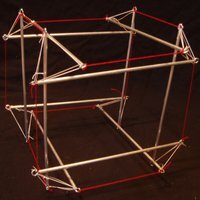 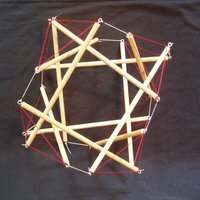 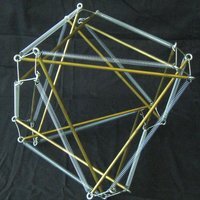 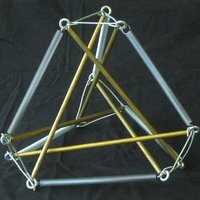 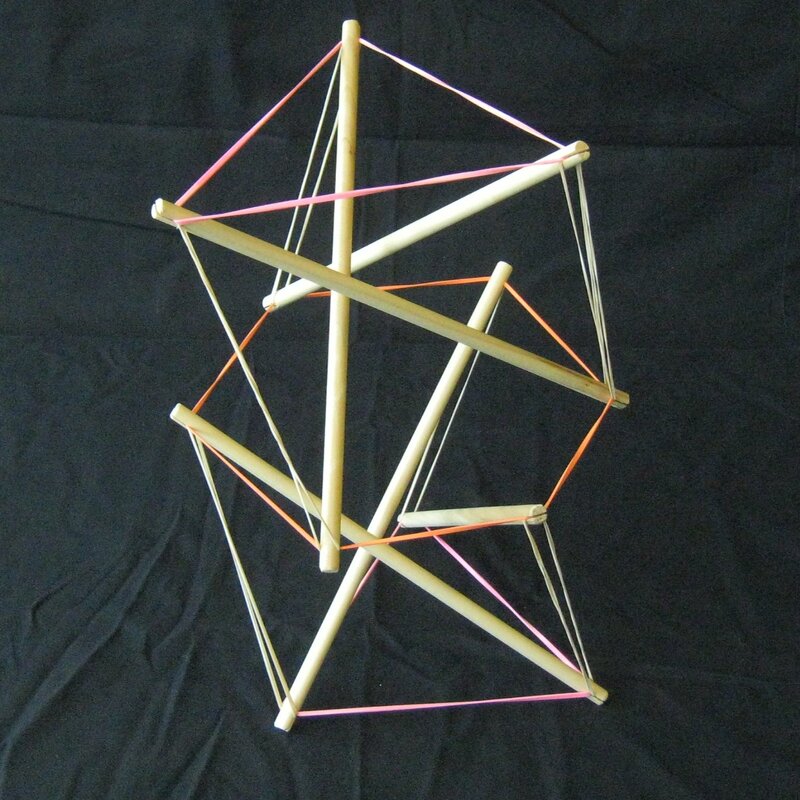 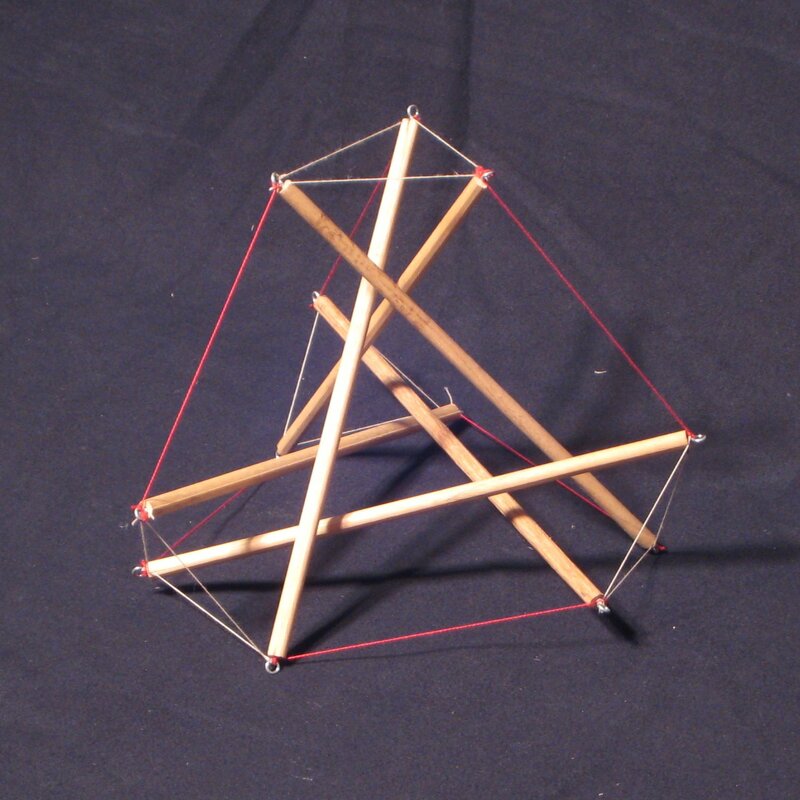 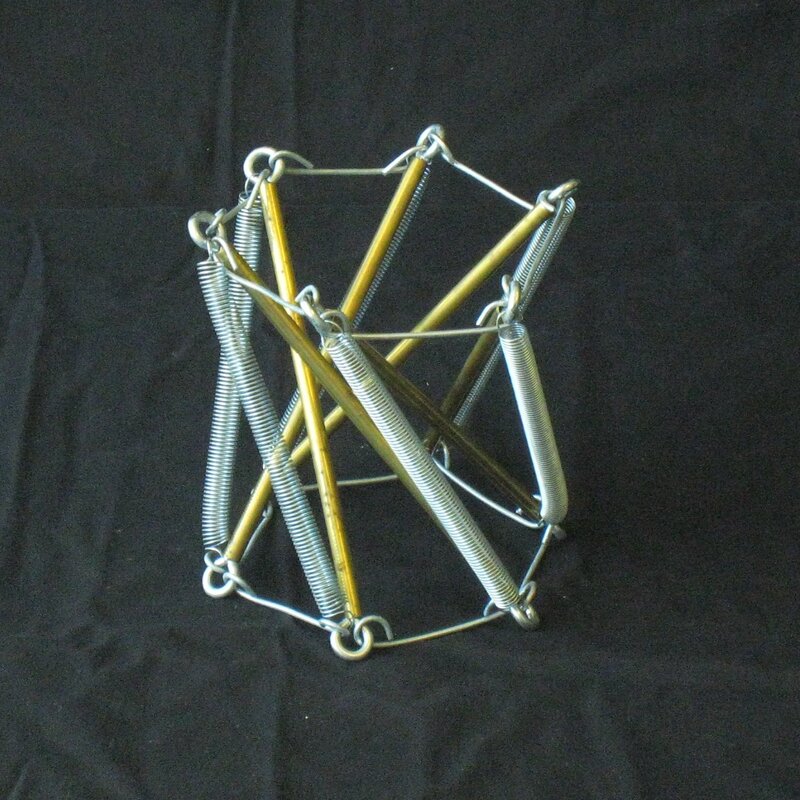 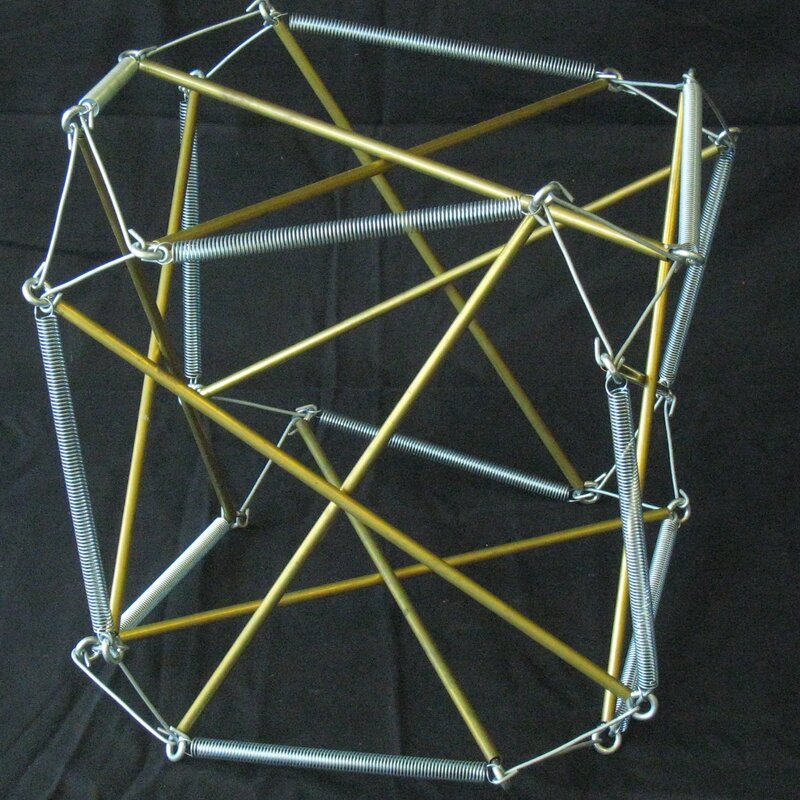 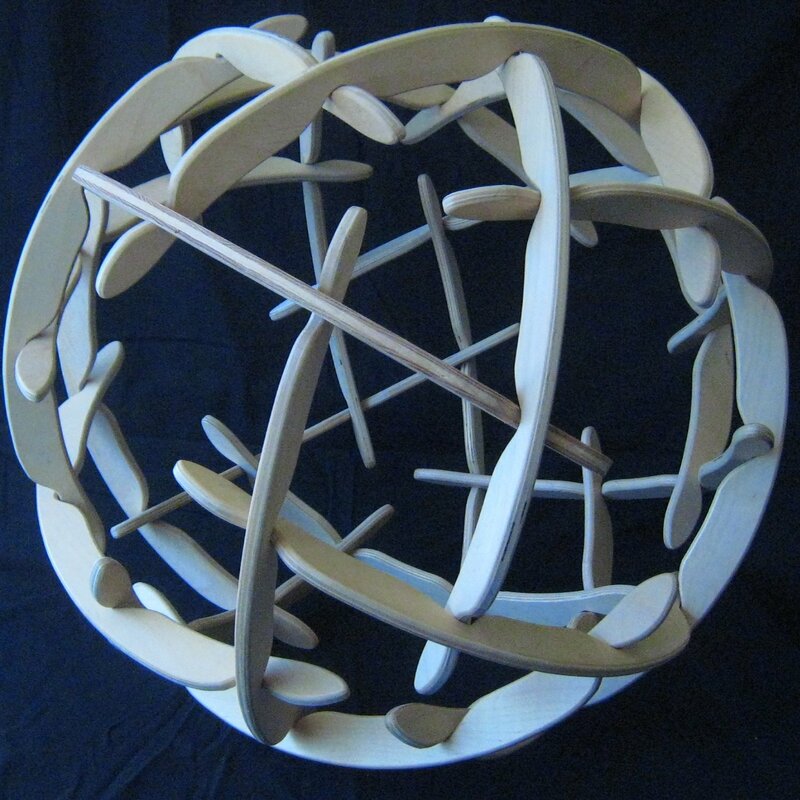 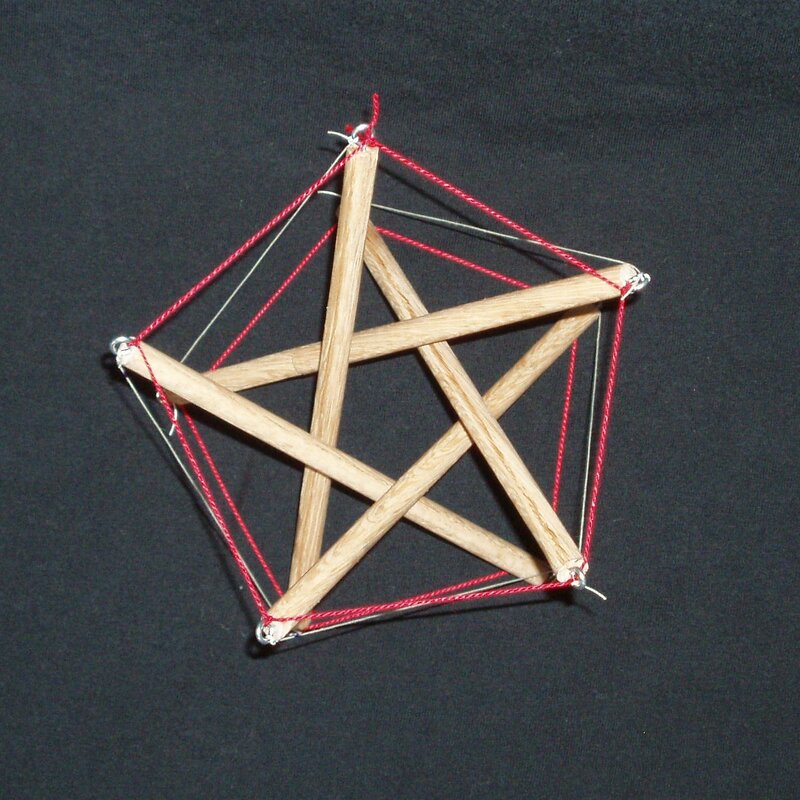 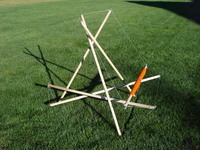 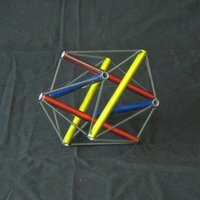 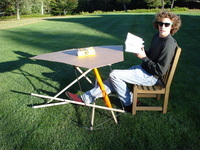 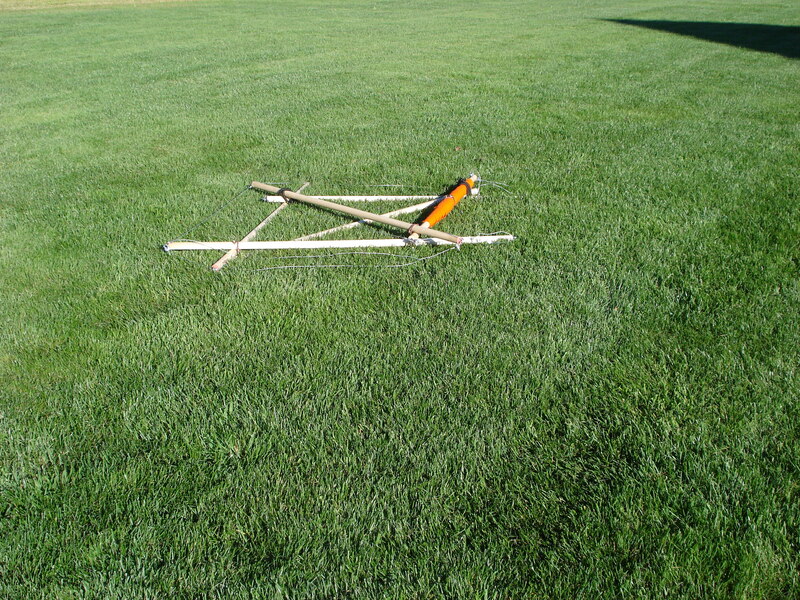 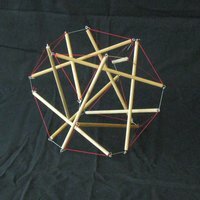 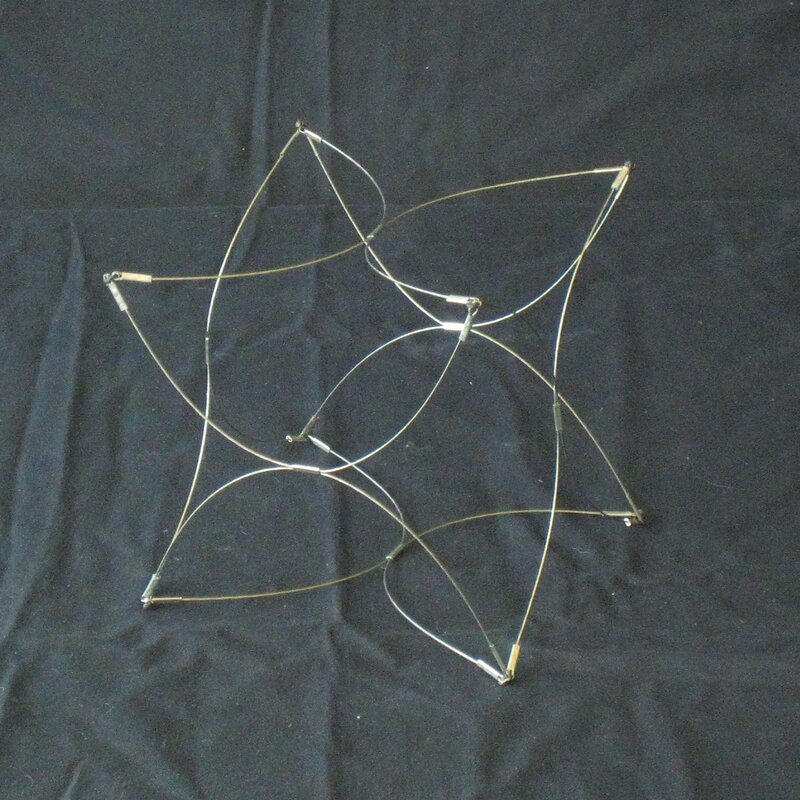 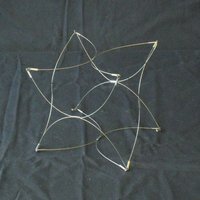 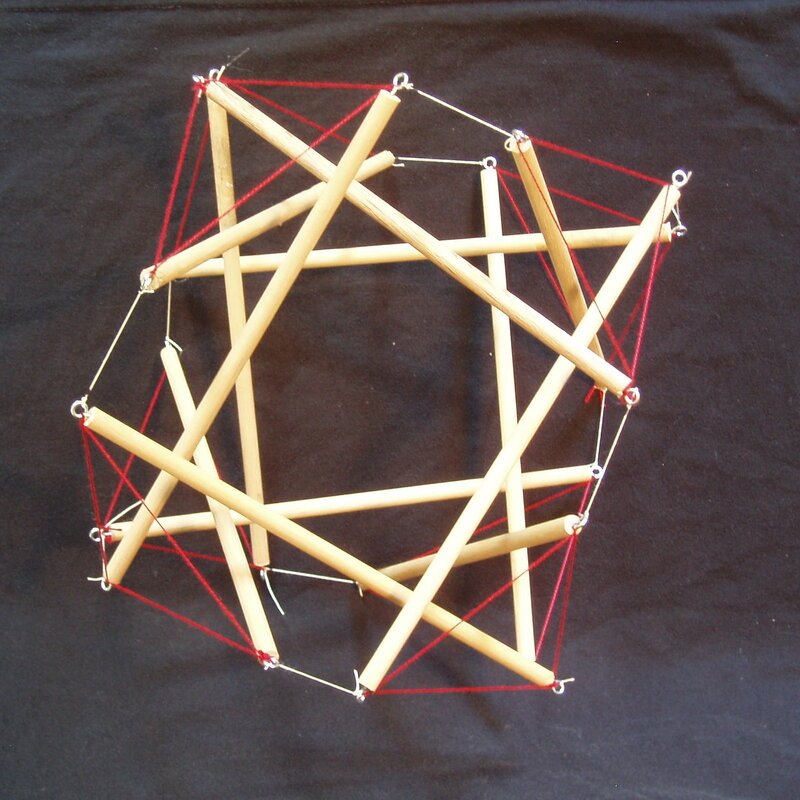 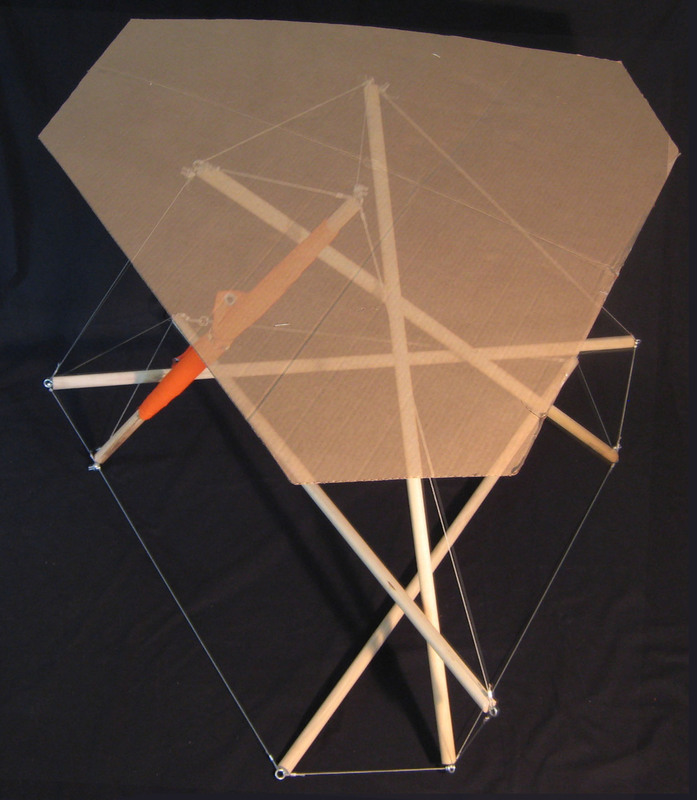 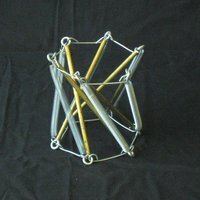 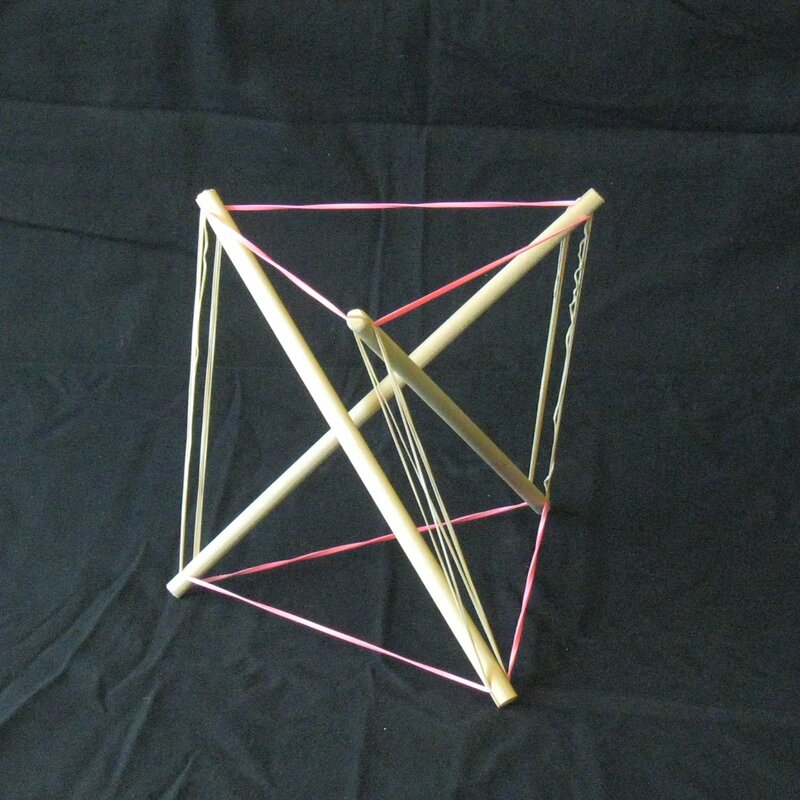 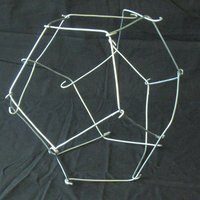 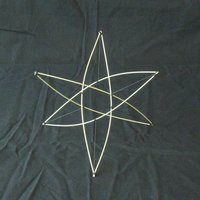 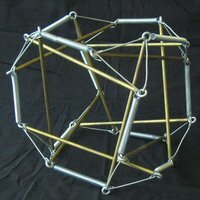 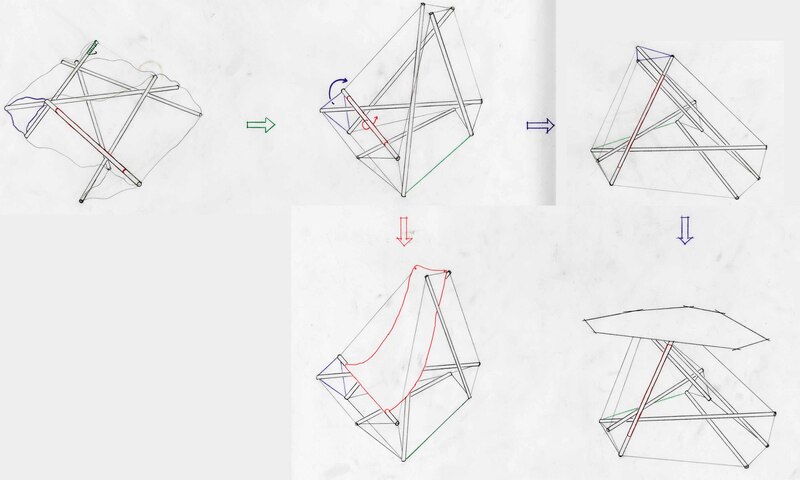 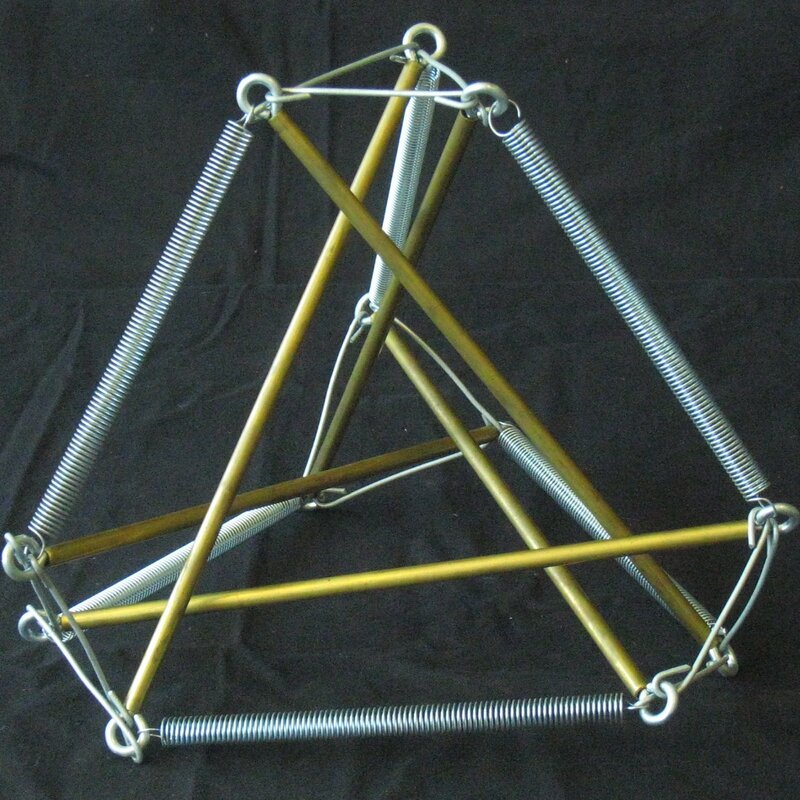 Also a compound tensegrity built from four of the S4 examples. 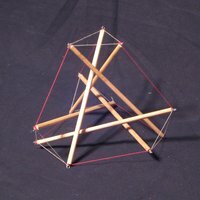 It is displayed as a rotatable applet. 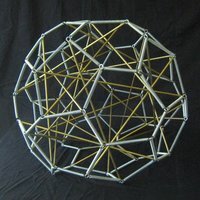 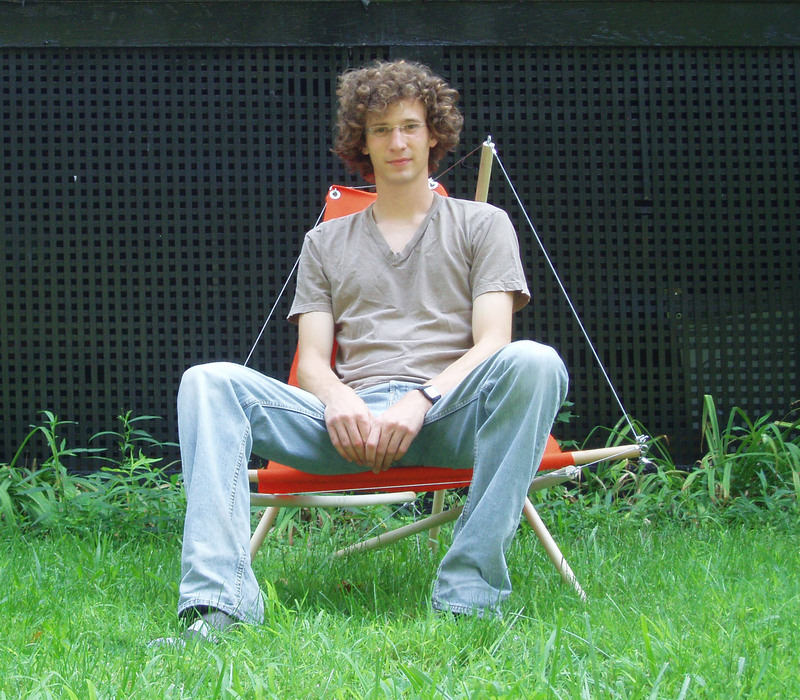 Last Update: 21st July 2008.